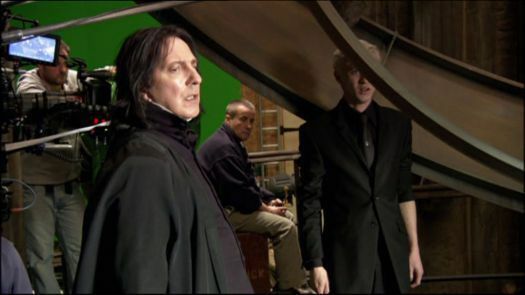 Behind the scenes of Harry Potter - Alan Rickman. . Wallpaper and background images in the Severus Snape club tagged: severus severus snape alan rickman snape harry potter potions master. Severus : "10 Galleons the old man will throw himself overboard if he doesn't have his lemon sherbet dose in the next five minutes." Draco : "I'm with you, Severus. Will you just tell the Dark Lord that we got rid of him thanks to a few sweets missing ?" ladyN you just made my day.